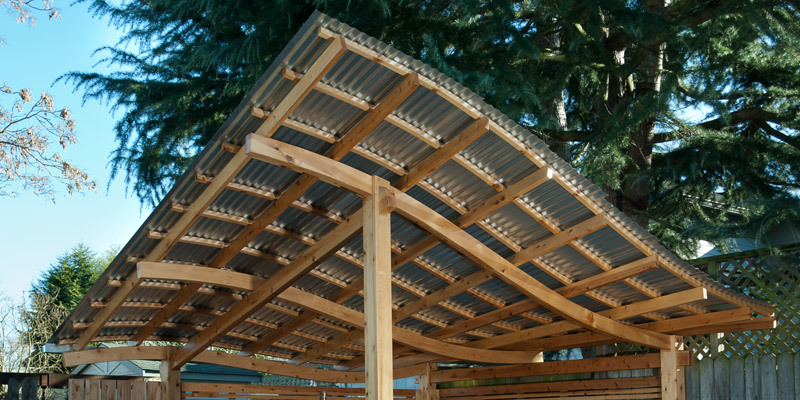 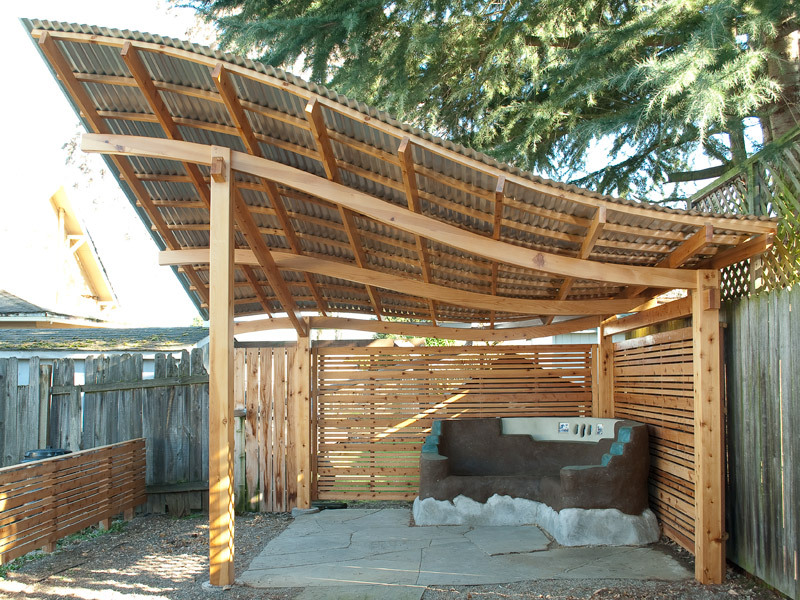 The garden pavilion is a western red cedar structure topped with a galvanized steel corrugated roof. 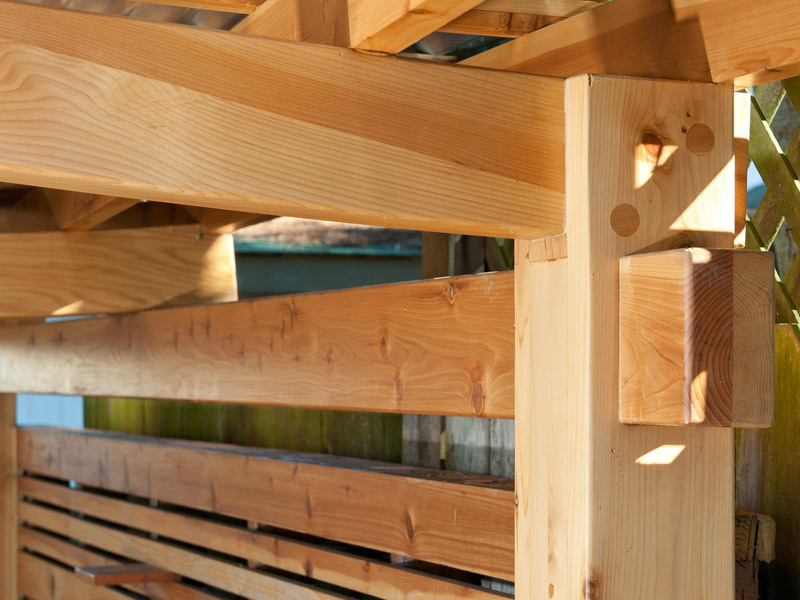 Traditional joinery and woodworking is fused with a modern aesthetic to create a visually striking and beautiful design. 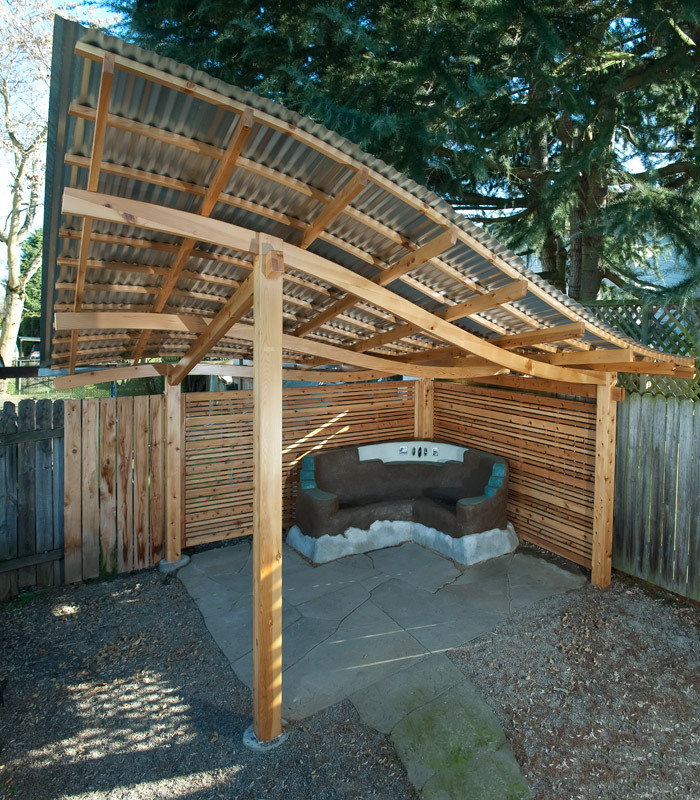 The structure shown has a footprint of 14′ x 14′ but can easily be made proportionately larger or smaller to suit other spaces. 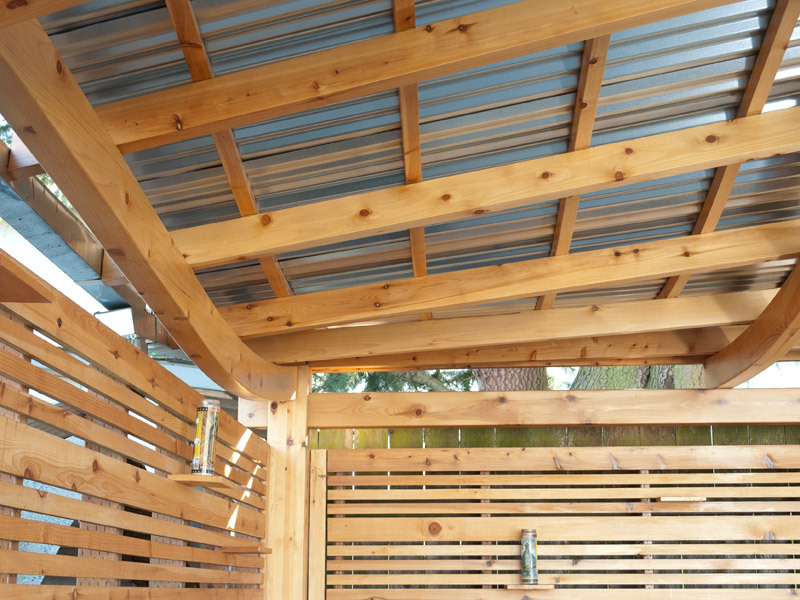 The pavilion can also be constructed without the steel roof to function as an arbor or gazebo.